3 BR 2 Bath 2 Car Garage. 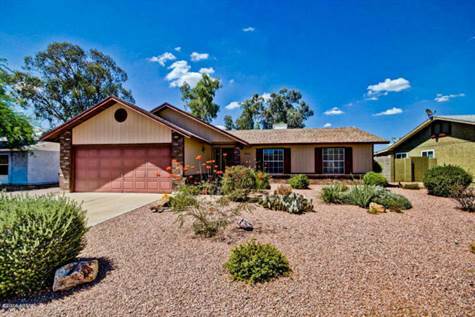 Open floor plan,Vaulted ceiling, new carpet & new tile flooring, lots of natural light. Kitchen features NEW SS appliances, oak cabinets and Granite Tops, a walk in pantry and dining area. Master bedroom includes a walk in closet and adjoining bath. Large backyard with a covered patio. $40 Application Fee per adult 18 or older, $200 Non Refundable Leasing Fee, $1395 Refundable Security Deposit. $20 Monthly Admin Fee and 2% Rental Tax. NO Pets!